There’s nothing but positive things to say about this sport. 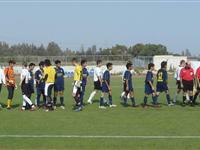 The last couple of years Cyprus has become a stop for several football camps. 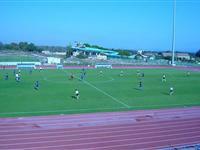 Some International football teams have found Cyprus the ideal venue for their winter training. Arena sports having worked closely with a wide variety of sports teams and football clubs have the expertise and knowledge to organize warm weather training camps of all levels on the island. The wide range of top level football venues in the island will meet all expectations and guarantee a successful training camp. Friendly games of all levels with local football teams can be pre-arranged. On the training facilities & venues front, Arena sports pioneering involvement during the past years with the development of sports tourism on the island for a variety of sports wishing to hold their sports training camps in Cyprus, football has gained us an excellent reputation with sports bodies, local authorities as well as football clubs and teams and finally private companies who own and run training facilities and gyms adequate for football training camps on the island. ARENA has the experience, knowhow and highly trained staff to assist you with your sports travel requirements so that you can put together a well-organized football training camp. ARENA’s Sports long experience of the tourism industry on the island is a guarantee of the best value for money arrangements when it comes to accommodation, training, transfers, car hires or any other travel related services.